This week I started a new job! I'm super happy with it - everything's swell. The days are getting lighter, the sun is getting stronger; New Zealand's heading into Spring and it's larvely. 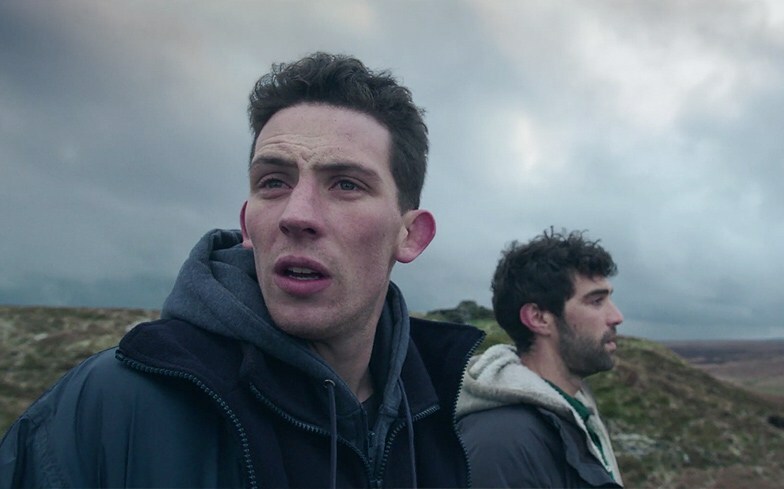 This weekend I went to see the beautifully brutal God's Own Country. My interest was piqued when I heard it referred to as the 'Yorkshire Brokeback Mountain,' and while it definitely has similarities with the wildness of Wuthering Heights, it's very much a piece of cinema that must be celebrated in its own right. Smartly and sensually unpicking the frailties of masculinity, God's Own navigates love, intimacy, vulnerability and growing up in a way that sincerely tugs at the heartstrings. In one scene Gheorghe (the Romanian farm-hand) is followed closely by Johnny (the Yorkshire lad) as he bounds over a dry-stone wall to gaze upon the woolly horizon. Johnny looks at this old familiar view, looks back at Gheorghe who stands mouth agape transfixed by the otherworldly nature of the scenery, then looks back at the view, and in that moment everything changes. Their relationship is both tender and brutish, flawed and beautiful. Hearing the Yorkshire lingo brought joy to my soul - I miss it so, but apparently at Sundance Film Festival they were asked to supply subtitles for bewildered watchers. Turns out Utah folk aren't so clued up on what a bap is.